These hardworking perennials are the backbone of many beautiful shade gardens and container plantings. Come in to see our selection; these lovely and versatile plants will capture your heart. Call for availability. 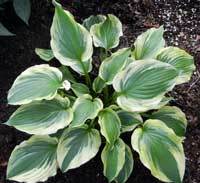 We think this hosta is as cute as a button! 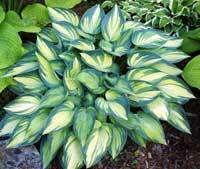 This compact blue-green hosta is perfect for the edge of the shade garden or starring in your favorite container. 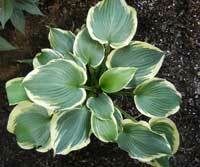 This hosta truly plays well with others. The Empress is a real attention getter! 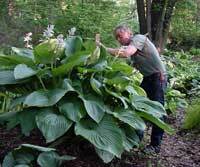 Growing as tall as three feet, this is one of the largest hostas you can buy. When it blooms, this regal beauty displays lovely light lavender flowers. 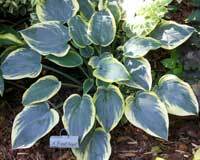 The June hosta adds unusual color to your plantings with its bluish leaves and golden variegation in the center of the leaves. 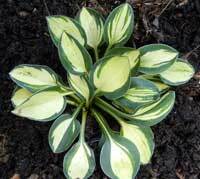 The variegation will range from charteuse in heavy shade to creamy yellow in light shade or part sun. 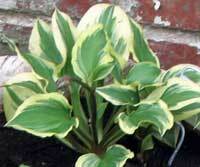 This hosta does really well in our area, increasing every year. When it blooms, you'll enjoy pale lavender flowers. First Frost is admired for its intense blue-green leaves with edges that shift from light gold to a creamier shade as the summer approaches. 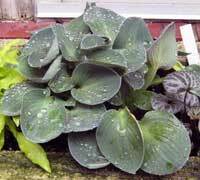 This hosta remains compact and features lavender flowers. 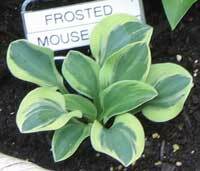 First Frost was selected as 2010 Hosta of the Year. 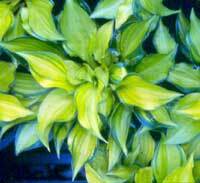 These images represent some of the hostas we offer. 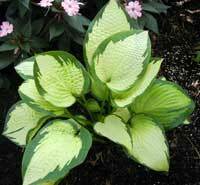 Please stop in to find the perfect hostas for your gardens and containers. 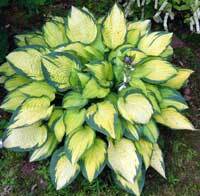 Hostas come in so many different colors and sizes. 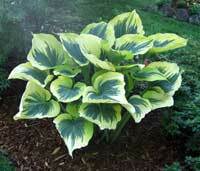 Choose from different leaf shapes and a wide range of greens with solid colors or variegated leaves. 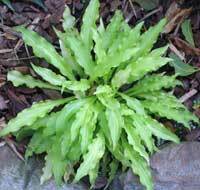 Plant them in the shade to create structure in your garden that comes back year after year. 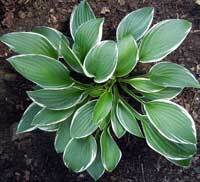 Hostas even work well in containers.